God’s abundant generosity to us has allowed PEACE Lutheran Church to build a spacious and modern facility for worship and other events. We love to share God’s gifts to us with our community, including many organizations that use space at PEACE. Exercise Class – Stay in shape and have fun no matter what your age. Meets Mondays, Wednesdays and Fridays in the Fellowship Center. For more information, call the church office at (530) 273-9631. 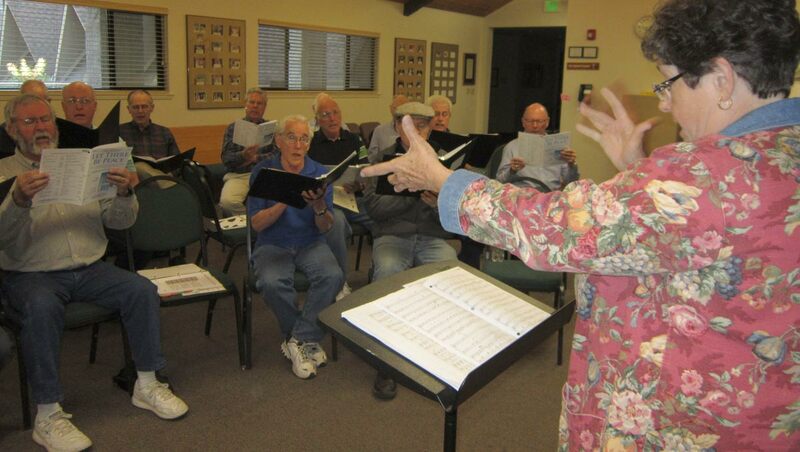 Grass Valley Male Voice Choir – This historic choir rehearses at PEACE Lutheran Church and holds a yearly Ice Cream Social in our Fellowship Center. HICAP –Health Insurance Counseling & Advocacy Program provides free and objective information and counseling about Medicare to help people understand specific rights and health care options. InConcert Sierra – Presenting exceptional classical and choral performances, featuring guest artists in a variety of atmospheres; also educational opportunities for youth and adults. Music in the Mountains – This world-class organization hosts a classical symphony, chorale, several music festivals during the year, youth competitions and education program, holding some rehearsals and programs at PEACE Lutheran Church.